AROUND THE WRITER’S BLOCK: USING BRAIN SCIENCE TO SOLVE WRITER’S RESISTANCE by Rosanne Bane (TarcherPerigee, 2012). PEEK: “Discover the tricks that your brain uses to keep you from writing—and how to beat them.” SEE ALSO Around the Writer’s Block Forms from Bane of Your Resistance. ART AND FEAR: OBSERVATIONS ON THE PERILS (AND REWARDS) OF ARTMAKING by David Bayles and Ted Orland (Image Continuum, 1993). As relevant for writers as musicians as painters as photographers as dancers, this economical slim paperback is a gift to anyone who’s a human being and trying to create art. DEAR GENIUS: THE LETTERS OF URSULA NORDSTROM collected and edited by Leonard S. Marcus (HarperCollins, 1998). Eavesdrop on this legendary editor’s role in the creation of such classics as: GOODNIGHT MOON by Margaret Wise Brown and illustrated by Clement Hurd; CHARLOTTE’S WEB by E.B. White and illustrated by Garth Williams; WHERE THE WILD THINGS ARE by Maurice Sendak and HAROLD AND THE PURPLE CRAYON by Crockett Johnson. 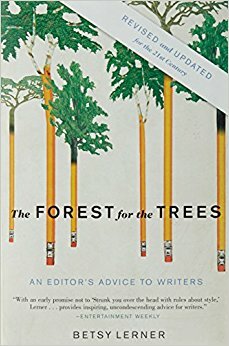 THE FOREST FOR THE TREES: AN EDITOR’S ADVICE TO WRITERS by Betsy Lerner (Riverhead, 2000). Your best source for savvy and the soul. PEEK: “…sharp, funny, and insightful guide has been meticulously updated and revised to address the dramatic changes that have reshaped the publishing industry in the decade since. From blank page to first glowing (or gutting) review, Betsy Lerner is a knowing and sympathetic coach who helps writers discover how they can be more productive in the creative process and how they can better their odds of not only getting published, but getting published well.” CYN NOTE: look for the latest edition. OUR STORY BEGINS edited by Elissa Brent Weissman (Atheneum, 2017). PEEK: “Everyone’s story begins somewhere. For Linda Sue Park, it was a trip to the ocean, a brand-new typewriter, and a little creative license. For Jarrett J. Krosoczka, it was a third-grade writing assignment that ignited a creative fire in a kid who liked to draw. For Kwame Alexander, it was a loving poem composed for Mother’s Day–and perfected through draft after discarded draft. For others, it was a teacher, a parent, a beloved book, or a word of encouragement. It was trying, and failing, and trying again. It was a love of word and pictures and stories. 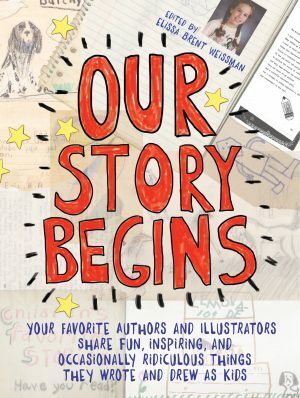 OUR STORY BEGINS presents some of today’s foremost children’s authors and illustrators as their quirky, smart, vulnerable, youthful selves, revealing young talent, the storytellers they would someday become, and the creativity they inspire today in kids everywhere. Your story is beginning too. Where will it go?” Ages 8-up. More on this title from Cynsations. 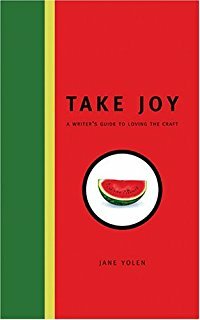 TAKE JOY: A WRITERS GUIDE TO LOVING THE CRAFT by Jane Yolen (Writer’s Digest, 2006). 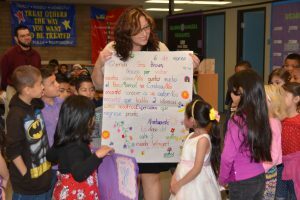 A celebration of writing, a reminder that it is such a wonderous experience and to enjoy it. Plus, a lot of helpful how-to thoughts. Good for beginners and the well published. 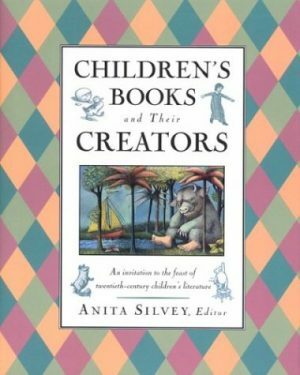 WALKING ON ALLIGATORS: A BOOK OF MEDITATIONS FOR WRITERS by Susan Shaughnessy (HarperCollins, 1993). A quote, a consideration, a call to action. This gem of a paperback is a must-have for the writer’s peace of mind and piece of soul. 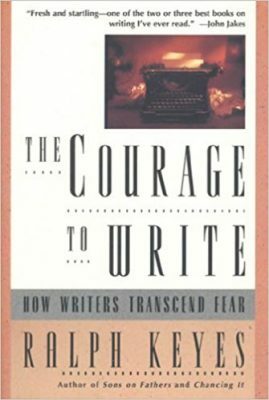 WRITING PAST DARK: ENVY, FEAR, DISTRACTION, AND OTHER DILEMMAS IN THE WRITER’S LIFE by Bonnie Friedman (HarperCollins, 1993). Worth twice the cost for the chapter on envy and the “anorexia of language” alone. 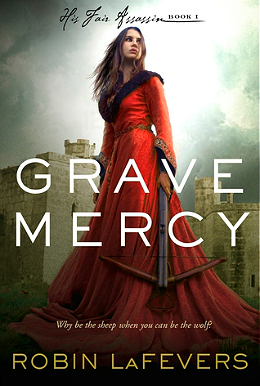 Survivors: Thriving as a Long-Time, Actively Publishing, Children’s-YA Author by Cynthia Leitich Smith from Cynsations. CYN NOTE: Deeply reflective interview series, featuring insights from established voices like Monica Brown, Shutta Crum, Alex Flinn, Margaret Peterson Haddix, Uma Krishnaswami, Barry Lyga, G. Neri, Joy Preble, Nancy Werlin, and more.